Temporary power refers to sources of power that can deliver electrical power on demand in times when conventional power sources fail. Usually temporary power sources consist of generators or battery sets, and can be powered by hydrogen fuel cells, diesel/gasoline generators, deep cycle batteries, flywheel energy storage, etc. Temporary power is necessary due to the universal utilization of electrical energy, which has led to inevitable distribution problems such as blackouts as well as unplanned mishaps such as grid-wide failures, downed lines, or substation malfunction. Rapid urbanization in developing regions has become a key driver for the global temporary power market, as this has led to widespread demand for new construction of various kinds, including infrastructure. The industrialization accompanying the urbanization drive in emerging regions has also made the temporary power market vital, as steady operation of the industrial sector is vital for many developing economies. The growing corporate presence in developed as well as developing countries could also help drive demand from the temporary power market. The lack of power infrastructure in developing regions, particularly in comparison to developed regions such as North America and Europe, is likely to remain a key driver for the temporary power market in the coming years. Regionally, Asia Pacific and South America are likely to feature prominently in the global temporary power market. Several countries in these regions count among the most promising dynamic economies in the world and are likely to witness steady infrastructure growth in the coming years, leading to steady demand from the temporary power market. Countries such as India, China, Japan, Brazil, and Argentina are thus likely to be vital for the global temporary power market in the coming years. Temporary power is referred to as the independent source of electrical energy that is required to support crucial electrical systems on the loss of the normal supply of power. A temporary power system may comprise batteries, standby generators, and other apparatus. Temporary power systems are deployed in order to prevent the losses that are likely to occur from the sudden loss of primary supply of electric power. Temporary power systems find applications in a broad variety of fields such as ships, telecommunication equipment, data centers, scientific laboratories, and hospitals. These temporary power systems can depend on hydrogen fuel cells, flywheel energy storage, deep cycle batteries, and generators. At times, main power is lost due top grid-wide failure, planned blackouts, inclement weather, substation malfunction, and downed lines. In several modern buildings, many emergency power systems are generator based. Generally, these generators are driven by diesel engine, although small buildings might employ gasoline driven generators and large ones a gas turbine. 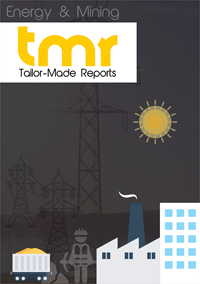 The market intelligence report investigates into the conceivable growth prospects for the temporary power market and the sequential growth of the market during the course of the forecast period. It also exclusively provisions the mandatory data related to aspects such as the dynamics manipulating the progress in all possible reflective manner. Numerous pervasive and non-pervasive trends have also been stated in the report. An outlook of extensive nature keeping in mind the Porter’s five forces analysis has been provided to make the vendor landscape transparent to the reader. The report further points out several activities related to R&D, mergers, acquisitions, and crucial conglomerates and corroborations. The companies in attention have been examined on the basis of market shares, prime products, and key marketing strategies. The growth of the global temporary power market can be attributed to the rising demand for energy due to a rise in the number of planned events, growing infrastructural and construction activities, and the dearth of electricity supply. The less turnaround time and dearth of power infrastructure are also expected to bolster the growth of the market over the coming years. Vendors can gain from the declining power generation cost, growth potential in developing countries, and obsolete power plants. However, the market is likely to face challenges from the strict emission norms, rising focus on renewable energy, payment issues, and an upsurge in T&D expenditure. Poor grid infrastructure leads to regular blackouts, thus giving rise to the requirement for rental power. The oil & gas industry is expected to account for a significant share in the market over the coming years. Rising industrialization and the increasing demand for incessant power supply by industries are anticipated to drive the growth of the temporary power market during the forecast period. The temporary power market can also be classified based on fuel type such as gas, diesel, and other generators. The demand for diesel generators is anticipated to escalate over the coming years, as they are employed in a broad range of applications across several sectors. Region-wise, North America, Asia Pacific, and South America are likely to emerge as prominent market owing to the need for capacity expansion due to growing power demand. Poor grid infrastructure, and low electrification rate are also expected to bode well for the market growth in Asia Pacific. Some of the leading companies are Aggreko PLC, Ashtead Group Plc, APR Energy Inc., Caterpillar Inc., Speedy Hire, Cummins Inc., United Rentals, and Hertz Corporation.